Charles Greenthal Management - Jon Wickers Construction Co. Inc. 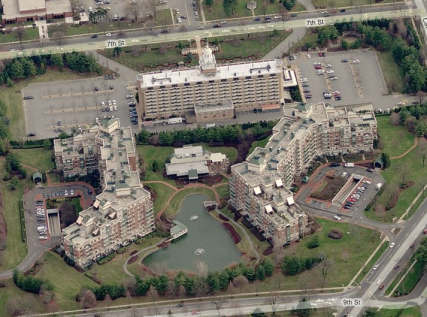 Designed , managed and executed 70,000 square foot Roof Replacement at the Wyndham Condominium. Project consisted of demolition and removal of Hanover paving system and former EPDM Roof Membrane. A Johns-Manville SBS 20 Year Roof Membrane Torch Applied Roof Membrane was successfully installed directly to the Primed concrete deck during the first years of SBS Membrane technology. Due to extensive logistic issues, the project was anticipated to take three years. After extensive mobilization, planning and teamwork with the Managing Agents, a successful completion was arrived at in 7 Months time. Hundreds of drains, pipe penetrations and flashing details have been leak free since completion.